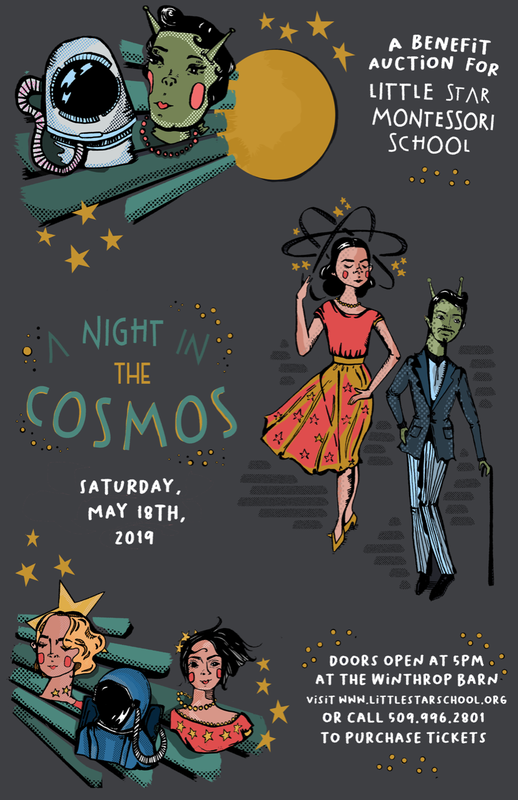 You are invited to join Little Star for A Night In The Cosmos on May 18th! Get ready for an out-of-this-world catered dinner/dessert by Sunflower Catering, cosmic cocktails, and a plethora of amazing silent and live auction items from the Methow Valley and beyond. All proceeds support Little Star’s Twisp and Winthrop early childhood education programs and financial aid fund. Tickets are now on sale, click here to purchase online or call 509-996-2801. Suggested Attire: glitz and glam, sequins, sparkly skin, celestial headpieces, space creatures and star beings!